Rosemary Gibson has been credited with creating national movements for safer, more humane health care. Her first book, Wall of Silence, with co-author Janardan Prasad Singh, put a human face on medical mistakes, launching a national campaign to improve the safety of America's health care. Gibson worked with Bill Moyers on the PBS documentary On Our Own Terms. She is a recipient of the Lifetime Achievement Award from the American Academy of Hospice and Palliative Medicine and is also the founding editor of a narrative series in the Journal of the American Medical Association (JAMA) Internal Medicine. She is senior advisor at the Hastings Center and the 2014 winner of the highest honor from the American Medical Writers Association. 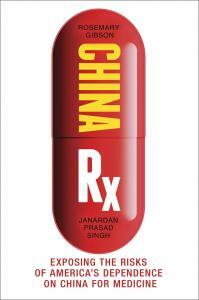 She is also the author, with Janardan P. Singh, of three other books on health care.